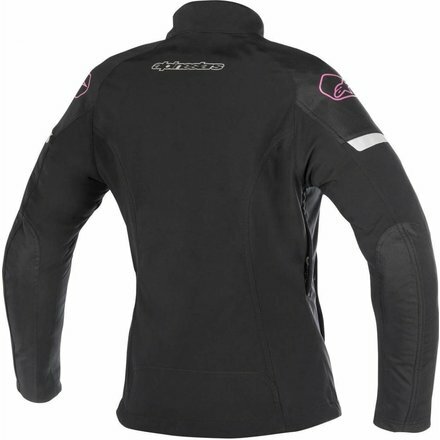 Fraai staaltje Italiaans design; softshell damesjack. Als er iets is dat Italianen als geen ander beheersen dan is het het vormgeven van kleding, meubels, auto's en motoren. Stella Stratos van Alpinestars is zo'n voorbeeld van een jas waarvan je op het eerste gezicht niet denkt dat het een motorjas is. Maar vergis je niet, alle eigenschappen waarover een echte motorjas beschikt heeft deze ook. This specifically designed women’s jacket is a highly versatile, technical urban riding garment incorporating a 100 per cent waterproof and breathable DRYSTAR® membrane. 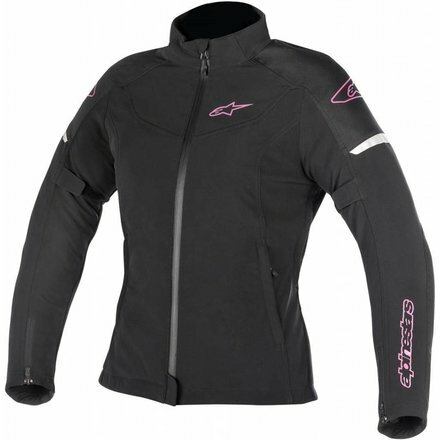 With CE certified interior protection and the ability to upgrade with Alpinestars new Nucleon back protection, the Stella Stratos is designed and developed exclusively for female body types and ideal for daily riding in and around the city. Technical softshell main chassis designed for an optimized women’s fit and incorporating Alpinestars’ DRYSTAR® 100% waterproof and breathable membrane for excellent protection against the elements. Mesh interior helps overall breathability of garment. Back pad compartment with PE padding (Alpinestars Nucleon back protector insert available as accessory upgrade). Incorporates detachable, multi-panel polar fleece jacket for versatility and close-fitting comfort. Water-resistant zippers include PU ridges which close tightly behind slider to seal out elements. Main zipper includes zip garage to avoid irritation under the chin. Strategical mesh-backed ventilation zippers on underarms improve airflow and breathability. Waist shock cord adjustment for highly personalized fit on and off the bike. Convenient exterior pockets are zipped for secure storage. Zipper cuff closures help prevent wind and water penetration. Velcro volume control adjustment on sleeves for customizable and improved riding fit.